BJP workers did not turn up at party headquarters on Deen Dayal Upadhyay Marg in New Delhi, even as celebrations broke out at Congress headquarters on Akbar Road. 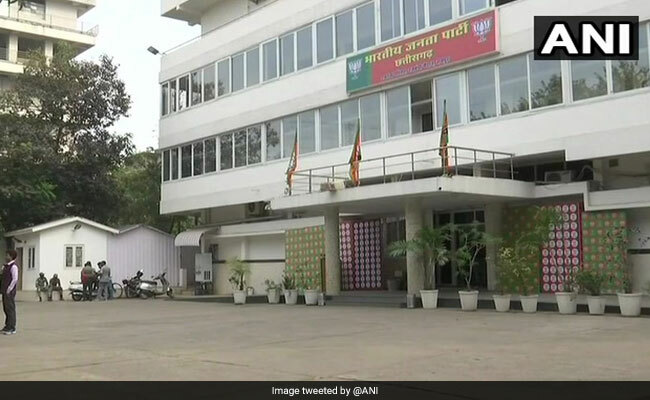 Even the BJP Headquarters in Raipur looks deserted as Congress is leading poll results in Chhattisgarh. The Delhi Police erected barricades near the BJP headquarters at ITO in New Delhi in the morning as a precautionary measure to manage crowd, expecting the arrival of party workers following the results of assembly polls in five states. However, BJP workers did not turn up at party headquarters on Deen Dayal Upadhyay Marg in New Delhi, even as celebrations broke out at Congress headquarters on Akbar Road. Trends showed the Congress ahead in Chhattisgarh and Rajasthan and locked in a tantalising, see-saw battle in Madhya Pradesh.